The October snowstorm that landed in New York City on Halloween weekend was complete with thunder and lightning. October 27th is the average frost date for New York City, so I suppose this wintry storm shouldn’t have come as such a surprise. 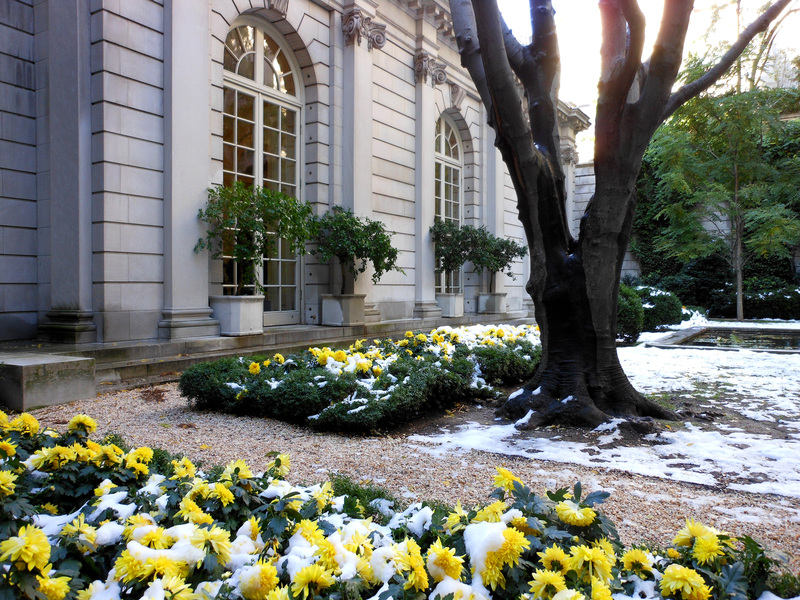 The pelting snowy slush froze tender annuals like Coleus and Begonias, but most shrubs and trees in the city are hanging on to their foliage. Central Park is barely even showing any fall color. 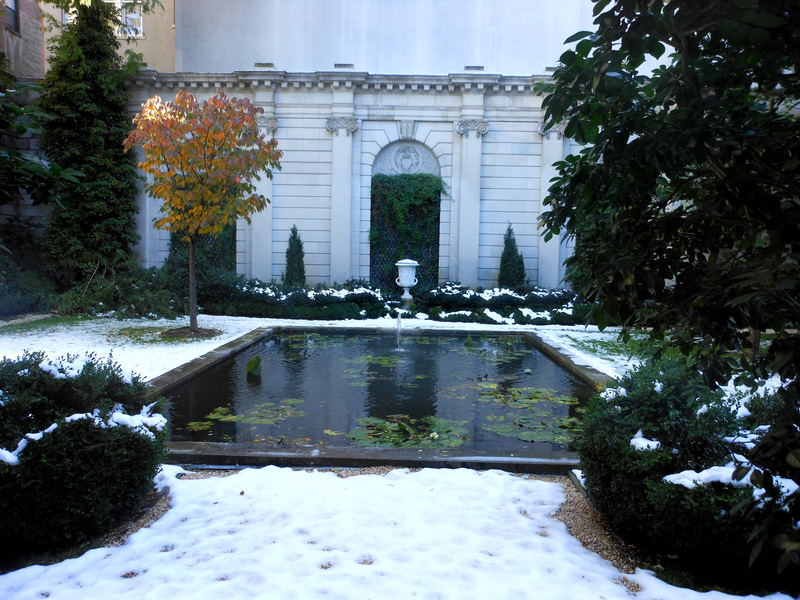 I had the chance to visit the Frick Museum this weekend. 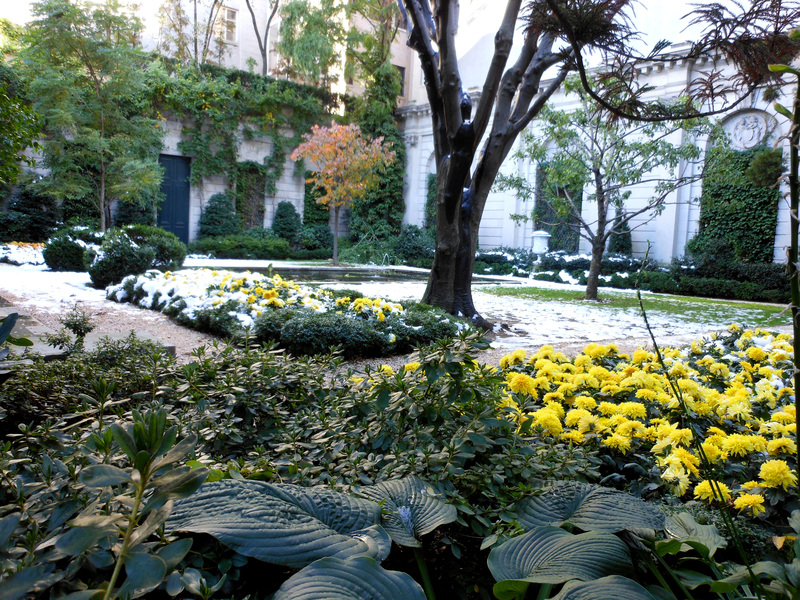 It has two tiny courtyards designed by the late landscape designer, Russell Page. I found the building and the grounds to be just as intriguing as the art collection, though there is a terrific display of Picasso sketches on exhibit until January 2012. The understated aesthetic that Mr. Page so well understood is something I admire. Although most of Page’s work is in his home country in the U.K. and abroad, we get to admire this jewel of a garden in New York City. A dear friend gave me “The Gardens of Russell Page” a book full of delicious properties and stunning gardens designed by Mr. Page. Each photograph is more elegant than the last. His designs are timeless and his focus on muted plant palettes is evident in his work. This book is well worth its weight in inspiration.